Due dates in green indicate updated scholarships. PLEASE request a transcript from the Registrar's office at least one week in advance - or request multiples at once. Raise.me Raise.me -- Earn "microscholarships" for college!!! Through Raise.me, students can now earn “micro-scholarships” (performance-based scholarships) from KU and over 180 other colleges (including the University of Denver, Creighton, and Texas Tech) for each of their academic and extracurricular achievements beginning as freshmen. Database/Resource cappex.com -- Database for colleges, scholarships, financial aid. Database/Resource fastweb.com -- Database for colleges, scholarships, financial aid. October 25, 2018 The Horatio Alger Scholarship - high school senior, commitment to pursue & complete a bachelor's degree, demonstrate critical financial need, display integrity and perseverance in overcoming adversity, min GPA of 2.0, US citizen. November 1, 2018 2018 State Masonic Public School Essay Contest for Juniors and Seniors. Potential for $12,000 in scholarships. Contact the counselor for more information. November 15, 2018 Elks National Foundation - 2018-2019 Most Valuable Student scholarship contest. Go to http://www.elks.org/scholars/scholarships/MVS.cfm or see Mrs. Darrough-Hayden in the counselors office for the link and information. Completion of a 500-word essay in which you will attack or defend the following proposition "The rise of social media has decreased opportunities for individuals to interact with people from different social, political, or economic backgrounds." November 29, 2018 You Deserve It Scholarships -- $1,000 -- 1 award. Scholarship sweepstakes. Must be a U.S. resident. Must be an active member of ScholarshipOwl.com. November 30, 2018 Washburn University Leadership Institute - Grow in personal Leadership awareness and development; be connected to an active network of leaders; Earn a Leadership Studies Minor or Certificate; Apply to receive approximately $1,000.00 per year, renewable for up to four years (3.0 GPA and 24 ACT required for incoming students) - you may fill out an application on-line www.washburn.edu/leadership or see Mrs. Darrough-Hayden to get an application. Based on these statistics and others you find during your research, how would you drive awareness about the importance of CPR and using an AED? Why do you think more people don't know about this public health epidemic and what creative ways would you introduce more AEDs to the public? Once you've figured out how you'd drive awareness (and same more lives? ), share your proposal with us by submitting either a video (less than 5 minutes) or a short essay (no more than 1,000 words). The more innovative and creative your scholarship submission is, the better. Extra points will be awarded for originality and submissions that could work in real life. We are offering a bi-annual (twice a year) scholarship of $750 to eligible students. * Be a legal resident of the U.S. The annual deadlines for all submissions are June 30th, for the Fall Scholarship and November 30th for the Winter scholarship. RUDD Foundation 2018 Scholarship - a competitive, 4-year award designed to pay any remaining costs associated with tuition and fees, books and supplies, and room and board after accounting for all other grants, scholarships and financial awards. *Attend Wichita State, Fort Hays State or Emporia State Universities fort he fall of 2019 as a full-time student. December 18, 2018 NFIB Young Entrepreneur Award - graduating high school senior who operates their own small business. December 17, 2018 by 5:00 p.m.
Kansas State Acacia Leadership Scholarship – Must be an incoming male freshman at Kansas State University who displays excellence in academics, motivation for personal success, and an interest in studying the principles of leadership. Not membership dependent. The application can be found and submitted online at www.acaciaksstate.org *** Applications will be accepted until January 7, 2019 at 5:00 p.m.
Pioneer Electric Scholarship – These scholarships are awarded on the basis of the application, resume, interview, and academics. Applicants should be in good standing with their school and should be actively involved with their school and/or community. Funds for the Margaret Van Horn Scholarship have been allocated by members of the Kansas State Department of Education Association of Educational Office Professionals (KSDE AEOP). The scholarship program is open to current Kansas High School, College, and/or Technical School students. Applicant must intend to continue his/her education in an education or business-related program. Applicant must be enrolled in a minimum of nine semester hours (at least half-time). Enrollment must be in an accredited post-secondary educational facility within the state of Kansas. WASHBURN FINNUP Scholarship - renewable $2,000 awarded to students graduating from high schools in the following Kansas counties: Clark, Comanche, Finney, Ford, Grant, Gray, Greeley, Hamilton, Haskell, Hodgeman, Kearny, Lane, Meade, Morton, Ness, Scott, Seward, Stanton, Stevens and Wichita. Students must have a minimum 2.0 GPA and apply to Washburn University to be eligible for consideration. Midwest Energy, Inc. Youth Tour - Washington D.C. trip - Juniors - Please apply online through the Midwest Energy website at https://www.mwenergy.com/community/youth-tour. Community Foundation of Southwest Kansas – Numerous scholarship programs are available to assist qualified applicants offset costs of higher education at accredited institutions. February 1, 2019 ESA Foundation Scholarships – a senior high school student who will be an incoming college freshman student with GPA of 3.0 on a 4.0 scale, or a minimum score of ACT 22. RMHC/ HACER Scholarship -- RMHC/HACER is a scholarship for Hispanic students presented by Ronald McDonald House Charities® with the support of McDonald's﻿®. The scholarship provides financial assistance to graduating Hispanic high school students to fulfill their dreams of pursing a higher education. Students are selected based on demonstrated academic achievement, financial need, and community involvement. Panhandle State Foundation (OPSU) Offers 250+ scholarships each year. These Scholarships are separate from the scholarships offered by OPSU. Applications are available on the OPSU website. FHSU Access To Academic Opportunity Grant Application - This grant exists to provide student who have demonstrated leadership, and who otherwise might not have access to a quality education, an opportunity to reach their fullest academic and leadership potential. Each recipient will be carefully selected by a committee and expected to fulfill each requirement upon acceptance for the AAOG. * Recipient must be classified as a new, on campus first-time freshman or transfer student. *All new recipients will be required to participate in a mentorship program throughout the fall and spring semesters. Each student will have an arranged faculty or peer mentor. *Recipient will become actively involved in at least one student organization on campus. *Recipient will be required to complete 10- hours of community service. 2 hours should be done through recruitment activities with the admissions office staff and 8 hours should be done through clubs/organizations. February 15, 2019 Helium Litigation Scholarship Fund - If you would like an online fillable form of the application and reference forms, please email debi.hurtado@nordlinglaw.com and she will send you the forms. The students must plan to pursue a course of study in an area relating to agriculture, the environment, or energy (which includes a broad list of accepted majors.) ** See Mrs. Darrough-Hayden for the application. Rotary District 5690 -$1,000 scholarship awarded annually. February 15, 2019 Gas Capital Scholarship – 3.3 GPA; must be enrolled as a full time student; must be a resident of Finney, Grant, Greeley, Hamilton, Haskell, Kearney, Morton, Seward, Stanton, or Stevens county. Kansas Association of Director of Plant Facilities – Students must be residents of Kansas and graduate from a Kansas High School and plan to attend a Kansas College or technical school. Only children whose parent or legal guardian is actively employed in a K-12 or secondary education institution and engaged in a buildings and grounds, food service or transportation position shall be eligible for these scholarships. February 15, 2019 Access To Academic Opportunity Grant Application – Academic achievement in high school, leadership and academic potential, personal and family background, and the overall ability of the applicant to contribute to a diverse, productive and qualified student body at Fort Hays State University. See Mrs. Darrough-Hayden for a hardcopy application. February 15, 2019 Pheasant Heaven Charities Inc. Vocational Scholarship - must be seniors at an area high school within fifty miles of Hugoton, KS. Scholarship funds will be awarded upon successful completion of the student’s first semester of full time attendance at a vocational school. Recipients must take courses at the location of the vocational institution of their choice. February 15, 2019 Pheasant Heaven Charities, Inc. College Scholarship – must be seniors at an area high school within fifty miles of Hugoton, KS with a minimum cumulative GPA of 3.0. Funds will be awarded upon successful completion of the student’s first semester of college, with a minimum of 12 semester hours completed. Recipients must take courses at the location of the post-secondary institution of their choice. Great Plains Association for College Admission Counseling (GPACAC) Scholarship – GPA 3.0; ACT 21-28; attending high school in KS, NE, or OK.
* Student must apply for admissions at www.hutchcc.edu/apply before they can get connected to their scholarship application. Ulysses FFA Local Scholarship– must be a senior member of UHS FFA Chapter; in good standing for at least two years; 2.5 GPA; Scholarship amounts are determined by number of applicants, how active student has been in chapter activities, SAE, judging events etc. See Mrs. Darrough-Hayden for a hardcopy application. February 23, 2019 Albert Lee Wright, Jr. Memorial Migrant Scholarship - Migrant student, scholastic achievement and financial need. Tortoise Young Entrepreneurs Scholarship - awarded annually to high school seniors and college students who have demonstrated an interest in entrepreneurship. The scholarship is sponsored by Tortoise Capital Advisors and aims to foster entrepreneurship among today's youth. At Tortoise, we are proud of our firm's entrepreneurial culture and are passionate about helping the next generation of entrepreneurs. A strong balance of the following is expected: grade point average (GPA), involvement and leadership in school and/or community activities, essay and complete application materials. A) Be a graduating high school senior, current undergraduate or graduate student who will be enrolling as part-time or full-time undergraduate or graduate student, attending colleges or universities. A) Be pursuing, or plan to pursue a degree with a focus on cyber-security or information assurance. B) GPA must be at least 3.3 on a 4.0 scale. A $1,500 scholarship has been established in Dr. Whitney's honor. This will be awarded on an annual basis to undergraduate agronomy students at Kansas State University with preference given to Juniors and Seniors. Eligibility: Any undergraduate student majoring in agronomy at Kansas State University and will be enrolled as a junior or senior in the 2019-2020 school year. Please request an application from Mrs. Darrough-Hayden in the Counselor's office. March 1, 2019 SWKS Board of Realtor's Scholarship -- must attend Seward County Community College Area Technical School. Special preference will be given to students who have an interest in the field of real estate, whether it is buying, selling, construction, etc. Westar Energy Craft Scholarship -- $3,000 per year (renewable for 2 years) Craft and plant scholarships are available for individuals who wish to pursue an associate degree in electric power and distribution, power plant technology, industrial technology or other industry-related degrees in Kansas. Westar Energy Lineman Scholarship - KS resident, graduating high school senior or equivalent, if selected, attend mandatory one-day climbing camp. Westar Energy Power Plant Operator Scholarship - KS resident, graduating high school senior or equivalent, if selected, attend mandatory one-day skills test camp. March 3, 2019 Shell Oil Company Technical Scholarship -- $2,500 -- 20 Awards. Graduating senior who is enrolling in engineering or geo-sciences. Upon successful completion of first year studies and other criteria established by Shell, the recipient may be eligible to apply to receive a four-year renewable award of $5,000 annually. March 11, 2019 KSCPA -- KS Society of CPAs- Potential $1300 scholarship -- plan to major in Accounting. ACT scores dues March 11, 2018. Final application due April 15, 2018. This is an annual scholarship--disregard the year listed. March 8, 2019 Scott Mecham Student of Integrity Award - students who exemplify ethical behavior and personal integrity and who demonstrate humility, courage, compassion and respect for their peers, teachers and community. March 15, 2019 Golden Plains Credit Union Scholarship – applicant must be a member of Golden Plains Credit Union and be enrolled in or plan to enroll as a full-time student at a university, junior college, or trade school this fall. Kansas Masonic Foundation Student Loan & Scholarship Program -- Scholarships ranging from $500 to $5,000 for KS residents. Hutchinson News-Future Journalist Scholarship-$1,000 scholarship offered to a student interested in journalism or photojournalism; a communication degree would be considered, too. Must have a minimum 3.0 GPA. See Mrs. Darrough-Hayden for an application. Students will be required to submit three documents with their application. If they do not have the ability to upload the required documents, please email the documents to: scholarshipcommittee@kacrao.org by March 15, 2019. Contact the KACRAO Scholarship Committee Chair at: scholarshipcommittee@kacrao.org if you have questions. FIDM National Scholarship Competition - awards more than 28 scholarships, including eight full one-year scholarships worth $31,000 each. This years winners will be selected from the following majors: Apparel Industry Management, Fashion Design, Interior Design, Merchandise Product Development, Visual Communications, Beauty Marketing and Product Development, Graphic Design, Merchandising & marketing and Social Media. visit bit.ly/FIDMscholarship for entry detail and the most up-to-date information. KJIL and KHYM Christian Radio Scholarship-- offering two, $1,000 scholarships-- Must be a graduating senior enrolling full time in a Christian college or university in the fall. See Mrs. Darrough-Hayden for an application. March 29, 2019 Kansas County Clerks and Election Officials Association Scholarship - 3.0 GPA - plan to major in Journalism, Political Science, Communications or Business ** See Mrs. Darrough-Hayden for an application or visit this website http://www.kcceoa.org/scholarship/ to get the application in PDF or Word format. March 30, 2019 www.kansasgolf.org/foundation/scholarships– academic scholarship, student must have participated in junior golf activities, including high school golf. Must attend college in Kansas. March 30, 2019 Ulysses Rotary Scholarship 2019– graduating seniors; preference may be given to Interact members. Shelter Insurance Foundation Scholarship - $2,000 scholarship to a graduating senior, based upon scholastic achievement, participation and leadership in school and community activities, citizenship and moral character, and educational goals. ** Please see Mrs. Darrough-Hayden in the counselors office for the application. March 31, 2019 American GI Forum of Kansas Scholarship – membership in GI Forum of Kansas. AGIF state scholarship instruction page This is an annual scholarship--disregard the date on the instructional page. A) Be a childhood cancer survivor who has demonstrated the ability to overcome the difficult challenges of cancer with determination and motivation. ** As part of our commitment to supporting women with great leadership potential Toptal has established the Toptal Scholarships contest. These scholarships provide assistance to women from around the world to help empower them to follow their passion and become leaders. Subject to these Toptal Scholarships Official Rules, the selected recipients will receive US$10,000 and one year of one-on-one mentorship from a Toptal leader. B) Be interested in becoming a leader among your peers. PlumbersStock is pleased to offer a unique scholarship opportunity for those studying at colleges and trade schools to become plumbers, HVAC technicians or sprinkler and irrigation specialists (or other related fields, like construction management). We understand the importance of education, and as proud members of the community, we like to give back. In an effort to help students achieve their dreams, we are offering scholarships to three winners who will share a total of $3,000. A) This opportunity is available to any high school seniors who will be soon enrolling at a participating school, as well as any students who are currently enrolled (including part-timers). Only those going to schools within the United States are eligible. To qualify for the PlumbersStock Student Scholarship Contest you must meet all these requirements. A) Create a "how-to-guide" video for home improvement novices demonstrating your skill in plumbing, HVAC, or irrigation. Examples: "How to Replace a Toilet", "How to Fix a Leaky Faucet", "How to Diagnose Water Heater Issues", etc. B) Follow the guidelines below to publish your video. C) Complete the submission form so that we are notified of your participation. A) Be a graduating high school senior. B) Plan on attending a school in the automotive, heavy duty, or collision repair fields. March 31, 2019 KHERF (Kansas Hospital Education & Research Foundation) - Applicant must be enrolled or planning to enroll in a course of study leading to a certificate, degree or credential in nursing, future faculty, other health care, health care administration, human resources, health information technology. This is an annual scholarship; disregard the date on the application. ** The American Fire Sprinkler Association created the college scholarship program to help with the educational and training pursuits of students just like you. In addition, AFSA wants to educate the public at-large about the life-saving properties of automatic fire sprinklers. So, if you meet the contest requirements and want to learn a little during the process, please enter and good luck! A) The High School Senior College Scholarship Contest is open to high school seniors who are citizens or aliens legally residing in the USA. 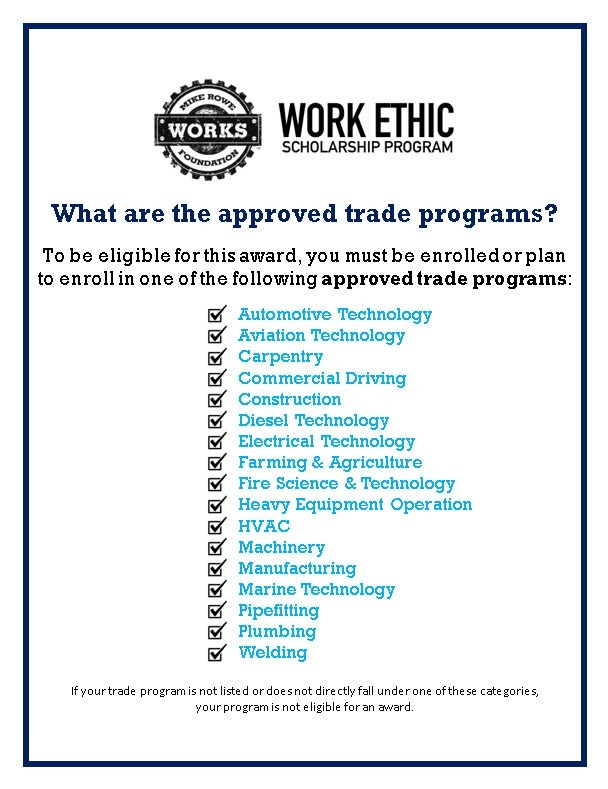 B) Scholarship funds are payable to the winner's college/university or certified trade school in the United States; winner must enroll for classes beginning no later than Fall 2019 session. D) Home-schooled students may apply as long as course of study is equivalent to that of a senior in high school. E) Relatives of AFSA staff or NATIONAL board members may not enter. A) A total of $20,000 is awarded. Ten (10) winners will receive a scholarship of $2,000 each. Only one $2,000 scholarship will be awarded to any single individual from this contest. B) The scholarship is paid directly to the educational institution in the student's account to be used for tuition and/or books for the fall 2019 semester. The scholarship monies may be used over a period not to exceed four (4) years. Beef Empire Days, Inc. will be awarding five to seven graduating high school seniors from the beef empire trade area (Western Kansas, Texas and Oklahoma Panhandle areas) with a $500 freshman scholarship. This scholarship is open to students who plant o further their education in agricultural related fields at area community colleges or universities. We feel that these are the future leaders of the beef industry and their success will impact our communities, states and the beef business. April 1, 2019 Skyland Grain College Scholarship – a graduating senior who is pursuing an agricultural or business related education at a four year college; GPA of at least 3.25; minimum ACT of 20; Be a resident of our service areas in Southwest and South Central Kansas, and Southeast Colorado. This is an annual scholarship; disregard the date on the application. April 1, 2019 Skyland Grain Vocational Scholarship – a graduating senior who is pursuing an agricultural or business related education at a technical/vocational school; Be a resident of our service areas in Southwest and South Central Kansas, and Southeast Colorado. April 1, 2019 Grant CO Farm Bureau Association – graduating senior who is pursing agriculture related education. Preference given (but not mandatory) to Farm Bureau family members. Undecided majors are also welcome to apply. Applications need to be received by April 1; so if mailing application, please mail a week in advance. April 1, 2019 Borrowed Dreams Scholarship - individuals who have been affected by the loss of a sibling or other family member. April 1, 2019 Liberal Desk and Derrick Club – any graduating senior; Applications need to be received by April 1. If mailing, please allow one week for postal delivery. April 1, 2019 Beef Empire Scholarship – plan to further their education full-time in an agricultural related field. This is an annual scholarship; disregard the date on the application. April 3, 2019 Kansas Financial Scholars -- $2500 -- Essay Scholarship contest. April 13, 2019 Cattle Empire (www.cattle-empire.net/202/scholarship-program) --for students from high schools in Finney, Grant, Gray, Hamilton, Haskell, Kearney, Meade, Morton, Seward, Stanton, or Stevens counties; must be interested in pursuing a career in the beef industry. April 15, 2019 Mary Queen of Peace Scholarship – active member of MQOP catholic church. April 15, 2019 Big Orange Boosters -Must have lettered 2 times in UHS sports, with a minimum GPA of 3.0. See Mrs. Darrough-Hayden for the application. April 15, 2019 Mr. Rietcheck's Family Scholarship -- UHS 2018 graduating senior, GPA of at least 3.3, must be active within the school, essay required. Turn in to Mr. Rietcheck. April 15, 2019 First United Methodist Church Scholarship -- Provided by the endowment funds of First United Methodist Church of Ulysses. Applicant needs to be a member of the First United Methodist Church and complete an application including letters of reference, essay and submission of transcript. This is an annual scholarship; disregard the date on the application. April 15, 2019 Steve Harper Memorial Scholarship – seniors attending a Kansas college and majoring in either a natural resources or photography curriculum. This is an annual scholarship; disregard the date on the application. Keri Wooley Memorial Golf Scholarship – Graduating senior lady member of UHS golf team. Angie Griffin Memorial Scholarship -- Graduating senior from UHS. Turn in to Mrs. Darrough-Hayden. CarBrain has always aimed to support people who are in need of a fast way to get paid for their cars in less-than-perfect condition. We also aim to support students pursuing a higher education. We believe in the importance of education and readily offer our help to students in need. We offer a scholarship to the most deserving student. A) Be attending a college or university on a full time basis for the 2019 school year. B) Submit an answer to the essay question before the deadline of 11:59 EST, April 19th, 2019. C) Be currently enrolled in the last year of high school, or currently a Freshman, Sophomore or Junior in a College or University. *You can be enrolled in any field of study. Grant County Scholarship – Any senior graduating from a Ulysses secondary school. Awarded to the top 10% of the senior applicants. Turn into Mrs. Darrough-Hayden. April 20, 2019 Kiwanis Club of Ulysses - Financial need, academics, and community service. Turn in to Mrs. Darrough-Hayden. April 25, 2019 Northfork Tailgunners Pheasants Forever - One outstanding Grant County graduating senior who plans to major in and enter the career of wildlife and parks, biology, outdoor conservation or a related field. 2.5 GPA or higher, graduating from Ulysses High School. Turn in to Mrs. Darrough-Hayden. April 30, 2019 Southwest Kansas Recreation – graduating senior involved in recreational activities.This is an annual scholarship; disregard the date on the application. Northwest Cotton Growers Coop Gin – Students planning to enroll in post secondary education. 1. Personal Information: Enter name & address information and complete answers to a few short demographic questions. 2. Application: Answer a few questions, enter high school & college information (include applicable GPA's), write a 200-1000 word essay, share work history, list community/school involvement & activities. 3. Recommendations: Choose TWO adult references (employer, teacher, school counselor, pastor, etc.) Enter the first & last name of the person from whom you are requesting a reference along with their email address & association to you. A request will then be sent to the specified individual. 4. High School/College Transcript Request: Request OFFICIAL transcripts then check "Yes, My Transcripts Have Been Requested." 5. FAFSA: Attach a PDF version of your FAFSA (SAR) Student Aid Report. Students who are ineligible for FAFSA may upload parent's/guardian's most recent year's tax return or W-2 forms to serve as proof of income. 6. Tax Return: Attach a PDF version of your parent's prior year TAX Return (same return used to enter FAFSA). Students who are considered INDEPE#NDENT on the FAFSA may upload their tax return in place of a parent's. If the previous year's tax return is not available, then the current year return is acceptable. OR see Mrs. Darrough-Hayden in the counselor's office for an application packet. Create and account and fill out an application at: https://sfa.kansasregents.org/login.jsp. May 1, 2019 Cleve Currier Memorial Scholarship – member of the boy’s golf team; Turn into Mrs. Darrough-Hayden. May 1, 2019 Cliff Currier Memorial Scholarship- member of the boy's golf team; Turn into Mrs. Darrough-Hayden. May 1, 2019 Ulysses Jr. Civic Scholarship for Women of Community Service – senior female with a history of community service; minimum of 3.0 grade point average. CAN TURN INTO SOPHIA AT UHS NO LATER THAN MAY 7TH. Applicants must be: an established resident of the State of Kansas and attending a Kansas postsecondary institution; AND a) Enrolled in a program leading to licensure as a teacher in an identified hard-to-fill discipline* or underserved geographic area ** OR b) Currently licensed as a teacher and enrolled in a course of instruction leading to endorsement in one of the hard-to-fill disciplines* or teach in one of the underserved geographic areas** in Kansas; OR c) Currently licensed teachers enrolled in a program leading to a master’s degree in an identified discipline* or underserved area** (This scholarship is not a resource for Counseling, Administration or Reading/Library Specialist degrees); AND d) Complete the FAFSA and the State of Kansas Student Aid Application. *Identified hard-to-fill disciplines for 2019-20 are: Elementary Education, English Language Arts, Mathematics, Science, and Special Education. **Underserved Geographic Areas are: USD 501 Topeka; USD 500 Kansas City, KS; USD 259 Wichita, and State Board of Education Area 5 (which includes all of the western 1/3 of the State of Kansas). Create an account and fill out an application at: https://sfa.kansasregents.org/login/jsp. May 1, 2019 O'Brate Foundation Scholarship -- The O’Brate Foundation invites youth with limited resources who are pursing higher education to apply for a scholarship. We are committed to helping these youth attain their personal goals and become successful members of society. May 1, 2019 Grant County Drug - USD 214 senior interested in Pharmacy Careers preferably, but will consider people going into the medical field in general. May 1, 2019 The Goody Shop Scholarship - This scholarship is in memory of Katie Pauda, and is for any senior graduating from Ulysses High School. Turn in to Mrs. Darrough-Hayden or Olga Pauda at The Goody Shop. This is an annual scholarship; disregard the date on the application. May 6, 2019 Ulysses Bit & Spur Scholarship - GPA of 3.0, majoring in some aspect of agriculture.This is an annual scholarship; disregard the date on the application. May 10, 2019 Gillen Memorial Music Scholarship – For students majoring in Instrumental Music Education in college.This is an annual scholarship; disregard the date on the application. Nadine Howard Memorial Scholarship - graduating senior at Ulysses High School; GPA 2.5; must attend community college or vocational/technical school. Turn in to Mrs. Darrough-Hayden. Grasshopper Trust - Vera Waters Educational Trust- Primary consideration is financial need. Pick up an updated form from Mrs. Darrough-Hayden. May 15, 2019 Kansas Southwest Recreation Association - Open to all high school seniors. See Mrs. Darrough-Hayden for an application. B) Have a GPA of 3.0 or higher and submit an answer to the essay question prior to the submission deadline. June 14, 2019 Abbott and Fenner Scholarship - available to all high school juniors and seniors as well as all students currently registered in any accredited post secondary institution (do not click on the download tab; there is not a formal application--just submit the essay to the email listed). The Woman Forward in Technology scholarship is to empower women entering the STEM field. The STEM career field workforce is currently only 24% women. We are looking to increase this number by supporting women who are looking to enter the STEM field. Women, both U.S. citizen and non-citizen, who are attending at U.S. accredited university are encouraged to apply for a number of $3,000 scholarships being given out. Applicants can be either undergraduate or graduate students with a minimum GPA of 3.5 and a major in a STEM field. Amount Awarded - We will provide a number of $3,000 scholarships each year. Deadline - Applications accepted starting March 1st, 2019 through June 15th, 2019. Winners announced on or around Aug 15th, 2019. Applicant - Must be accepted into or currently enrolled full-time at an accredited university in the US, in a Science, Technology, Engineering or Math (STEM) field. June 19, 2019 Big Sun Scholarship - All student athletes are eligible regardless of the sport they are engaged in. The student must be a high school senior or be attending a post secondary institute (do not click on the download tab; there is not a formal application--just submit the essay to the email listed). Based on these statistics and others you find during your research, how would you drive awareness about the importance of CPR and using an AED? Why do you think more people don’t know about this public health epidemic and what creative ways would you introduce more AEDs to the public? 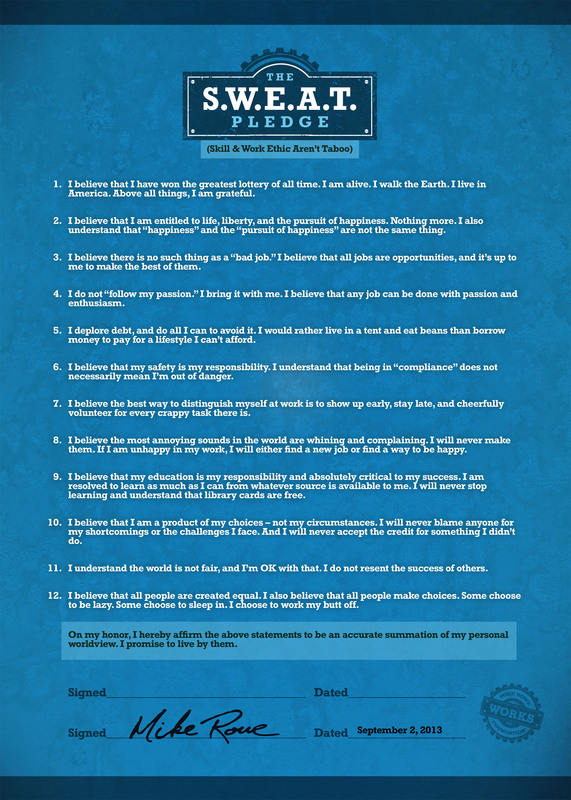 ​Once you’ve figured out how you’d drive awareness (and save more lives! ), share your proposal with us by submitting either a video (less than 5 minutes) or short essay (less than 1,000 words). ​The annual deadlines for all submissions are June 30th, for the Fall scholarship and November 30th for the Winter scholarship. C) Write an essay over this topic: "Going to college is a big financial commitment. Write an essay that outlines how much you expect to spend to finish your schooling, how you intend to pay for your schooling, and what you expect your job to be once you are finished your schooling." There is no word limit for the essay. D) Must have a GPA of 3.0 or above.